Quandary Peak near Breckenridge is shown in this Summit Daily file photo. 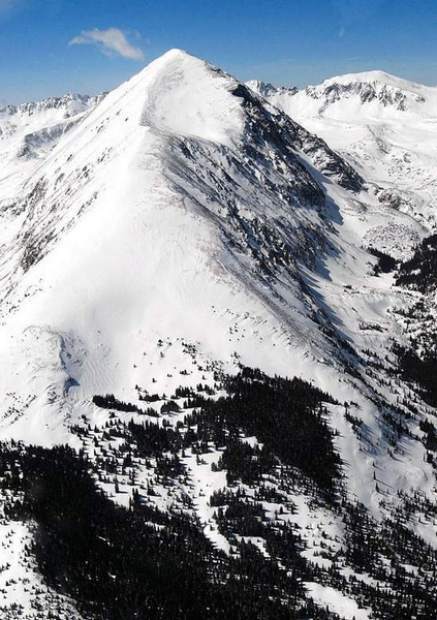 The Summit County Rescue Group responded to an injured skier on the mountain on Sunday. This is the second death on Quandary peak in the last six months. A 67-year-old man died after he suffered a heart attack about half a mile up the Quandary Peak Trail while hiking in late July. The peak, reaching up to 14,265 feet elevation, is popular among hikers in the warmer months and backcountry skiers in the wintertime.